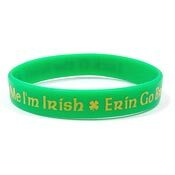 Cute green wristband says Kiss Me I'm Irish with little four leaf clovers on both sides. Show your Irish pride and get a smooch too. 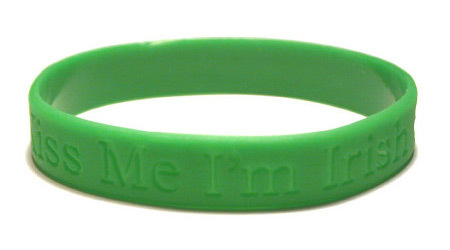 Adult size-This is our "one size for most folks" wristband size and fits wrists up to 7.5 inches. Ships out quick in 0-2 business days!